Select this link for information on the California 9-1-1 Advisory Board. CalChiefs representatives are shown below that are statutory recommendations with confirmation by the Govenor for this board. Select the following link for a full list of 9-1-1 Advisory Board members. Lesli Wilson, of Canyon Lake, has been reappointed to the State 9-1-1 Advisory Board, where she has served since 2005. Wilson has been the administrator at the North County Dispatch Joint Powers Authority since 2007. She served as a senior fire communications supervisor and fire communications dispatcher at the Orange County Fire Authority from 1998 to 2007, communications supervisor at the Camp Pendleton Fire Department from 1994 to 1998 and public safety dispatcher at Murrieta Police and Fire Communications from 1992 to 1993. 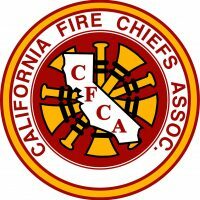 Wilson is a member of the California Fire Chiefs Association Communications Section Southern Division, National Emergency Number Association and Association of Public-Safety Communications Officials. Nathan Trauernicht, of Sacramento, has been appointed to the State 9-1-1 Advisory Board. Trauernicht has served in multiple positions at the University of California, Davis Fire Department since 2008, including fire chief. He was deputy fire chief for the operations and prevention divisions and interim fire chief at the Oroville Fire Department from 2006 to 2008 and director of fire and emergency programs at Ergometrics and Applied Personnel Research Inc. in 2006. He was a public information officer and public educator at the Marysville Fire District in the State of Washington from 2002 to 2006 and served in multiple positions at Ripley Fire and Rescue in the State of Oklahoma from 1998 to 2002, including fire chief. Trauernicht earned a Master of Public Administration degree from the Keller Graduate School of Management.